The Taliban is “increasingly attacking” U.S.-NATO troops and their Afghan counterparts with high-tech weapons like night vision goggles and lasers that were either stolen from the international coalition and local forces or purchased on the black market, the New York Times (NYT) has learned. The devices allow the Taliban to maneuver on forces under the cover of darkness as they track the whirling blades of coalition helicopters, the infrared lasers on American rifles, or even the bedtime movements of local police officers. With this new battlefield visibility, the Taliban more than doubled nighttime attacks from 2014 to 2017, according to one United States military official who described internal Pentagon data on the condition of anonymity. The number of Afghans who were wounded or killed during nighttime attacks during that period nearly tripled. The Times learned from unnamed U.S. officials that Taliban terrorists are either taking the high-tech weapons after they are left on the battlefield by American-backed Afghan troops or purchasing them from corrupt local forces. [Taliban jihadists] are using both tightly controlled American-made devices and gear that is widely available for purchase. In some cases, American officials said, the equipment was left on the battlefield by United States or Afghan troops, including those who were killed in action. In others, Afghan soldiers are believed to have sold the devices to the extremists. 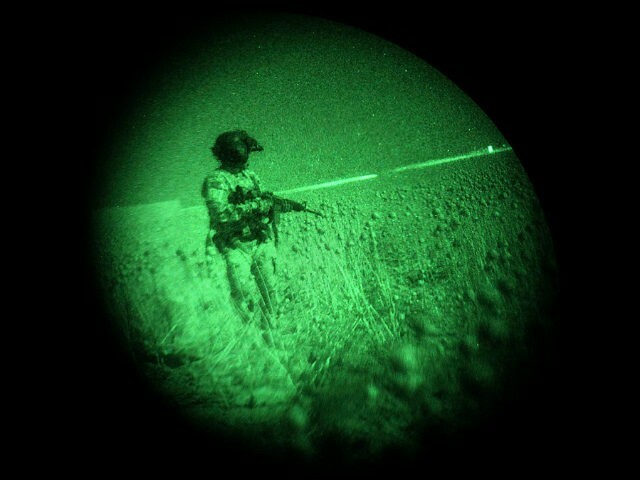 “No case of night vision sold by our soldiers to the Taliban has been reported,” Gen.Waziri told NYT. Alluding to “unreported” U.S. military documents, the Times points out that the U.S. military is concerned about the “Taliban’s growing sophistication on the battlefield” made possible by their increased use of high-tech weapons nearly 17 years after the war started on October 2001. According to the documents, the American military has begun to send older models of $3,000 night vision devices to regular Afghan Army units. The documents also show that the Afghan troops are unable to account for some (at least 54 devices) of the night vision hardware already sent. Nevertheless, the American military is planning to equip the Afghan troops with an estimated 2,500 night vision goggles as part of a “permanent program” aimed at preserving the reduction in casualties linked to the use of the high-tech equipment, the Times reports, citing the documents. The proliferation of high-tech weapons among Taliban terrorists has reportedly forced U.S. commanders to reconsider the limited access to night vision equipment they have granted Afghan troops. “Commanders now worry that denying the expensive equipment to those forces puts them at a technological disadvantage, with potentially lethal consequences,” the Times notes. Endemic corruption within the Afghan National Defense and Security Forces (ANDSF), which includes police and army units, has for years fueled reluctance among American commanders to arm rank-and-file ANDSF troops with night vision equipment. Taliban narco-jihadists are also increasingly targeting civilians, conveying a message that “no one is safe,” the Axios news outlet points out, citing Michael Kugelman, an expert at the Wilson Center. Axios notes that the United Nations has reported that the Taliban is responsible for more than 40 percent of the 10,000-plus civilians casualties (killed or wounded) in 2017.